Far too often human nature is such that we want to get even if we feel we have been wronged in some way. It doesn’t take much to see this response at play in the world all around us whether in the political arena, work settings, academia, at schools and on playgrounds, in the military, at church, and in families, between friends, and all other types of social settings. In fact, most of the violence and scheming we see in movies, on social media and television, and in life comes from our tendency to seek revenge for wrongs done to us or to those we know and love. It can even extend beyond our own personal feelings of wrongs done to us to entire groups of people we don’t even know for whatever reason we hate them–as in religious wars, racial wars, and that list goes on and on. In our churches today we hear a lot about grace, but not so much about mercy. We want God’s grace and mercy for ourselves, but we don’t often extend grace and mercy to others, especially those we don’t like for whatever reason we don’t like them. And half the time we don’t even know them personally, or we’ve heard gossip about them, or we just don’t like the way they look or act, and we cringe at the thought of actually extending either grace or mercy to them. And social media and television have conditioned us into thinking that it’s okay to hate others and try to get back at them in some tangible or back-biting way. You’d think we’ve adopted a new motto in life–“It’s cool to be cruel.” And we judge others constantly as we go about our day. The publishing company I work for recently released the U.S. edition of “The Church of Mercy” by Pope Francis. This book conveys the pope’s vision for a church that could become a healing force in the world simply by communicating and demonstrating the mercy of God. 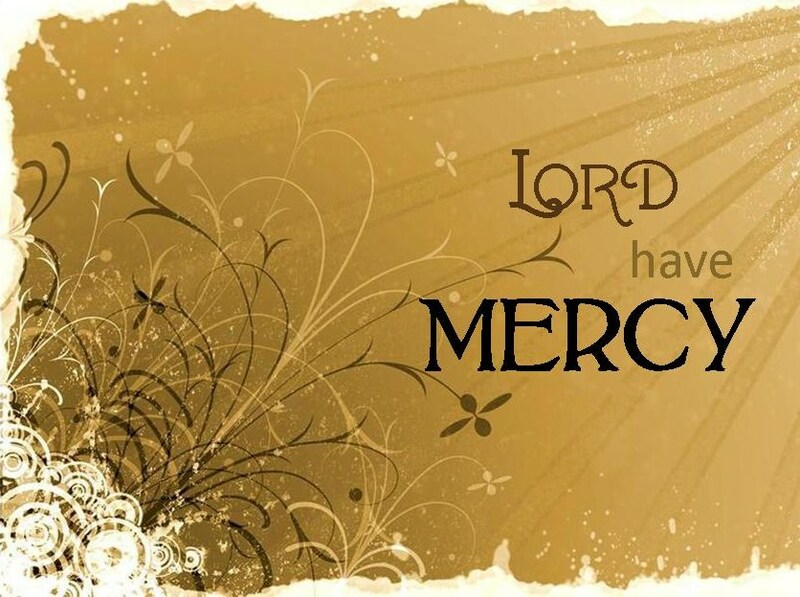 Little wonder that the word “mercy” beat in my heart for weeks and along with it the question: What does mercy look like? How might I become a person of mercy? In the Christian vocabulary, mercy is a forgiving response to wrongdoing; it is God’s countermove to our sin. Having lived intentionally as a Christian for more than 40 years, I have avoided the easily labeled sins, acts that would require my arrest or resignation. Yet, I am a persistent sinner. When a reporter asked Francis, “Who are you?” and he answered, “I am a sinner,” I knew that at least I’m in good company. Our pope has named, however, the grand antidote to sin, which is mercy. As I move through this day, how will I live mercifully? What works and actions will express to others around me the mercy Francis is talking about? In a given day, I do ordinary things, and I traverse a fairly unexciting landscape. My mercy will not show up in grand gestures, and most of the time mercy reveals itself in fleeting moments. For example, mercy gives you his seat on the bus, acting as if he was about to get up anyway rather than making you feel that he is doing you a favor. Mercy does not let out that sigh–you know the one–the wordless disapproval toward the person in the check-out line ahead of you whose card didn’t swipe, or who can’t find her coupons, or whose toddler is having a meltdown. Mercy offers quiet sympathy and does not convey with her body language that this holdup is ruining her day. Sometimes mercy chooses not to send back the food that isn’t just right, simply because the waitress looks overwhelmed. When mercy has been wronged, the offended one does not make it difficult for the offender to apologize or ask forgiveness. In fact, mercy does not wait for the other’s action but forgives so quickly that the person needing forgiveness is freer to ask for it. Likewise, at work, at home or in the classroom, mercy creates an atmosphere in which a person feels safe enough to admit his mistake or ask a question. And if mercy must correct someone, it pains her to do it, and she does so gently, without vindictive relish. Mercy makes a habit of giving others the benefit of the doubt. Mercy is not in the habit of sending deadly glares at people who are annoying. Mercy gives charitably, knowing that eventually someone will take advantage of his generosity. Mercy welcomes you, fully aware that this act may disrupt her own plans. Mercy relinquishes control when doing so allows another person to grow and learn. Mercy makes it his business to help others succeed. Mercy clears the way for others, so that they can walk on an even path, no matter how halting their steps or injured their souls. In all these situations, mercy treats power as a sacred trust. I can be merciful because I have some sort of power, the means to affect another’s life, if only for a moment. I act mercifully when I use my power to do kindness in this world. I was at a conference recently, and it was interesting to observe how the well-known, powerful people wore their power, how they responded to others’ admiration, how they spoke to those who were not so well-known or admired. Some used their power to make room for others and invite their voices; others used their power to dominate the space and the conversation. In my own work, I have achieved a certain level of expertise and others’ respect. When I sit in a room with colleagues, they feel the weight of my opinions. With a sentence or a glance, I can crush or I can encourage. I can open up the conversation or shut it down. Most of my sins involve failure at mercy. Whether through my unhopeful opinion of someone, my silent sentences that criticize him, my words grinding away in the privacy of a moving car, my neglect to help, or my refusal to notice when help is needed–each failure of mercy denies the community a bit of healing that might have happened. Talk about an article hitting it’s mark! We all can give a knowing “nod” as we fail in so many ways to show mercy to others throughout our day, even if only in our thoughts about them. All the grandiose acts of mercy I planned on doing to celebrate the year seem farfetched to me now. Just like New Year’s resolutions, the beginning of the year momentum has dwindled and the guilt of not checking things off my list has begun to sink in. I mean, didn’t Jesus tell us to “be merciful, just as your Father is merciful” (Luke 6:36)? So I should be out doing great and marvelous works of mercy that save the world just like God did for us when He sent Jesus, right? Maybe. But I can’t expect to do marvelous works of mercy if I can’t even do the little ones. So here are 3 super practical ways we can show mercy in our day to day lives just like our Father. 1. 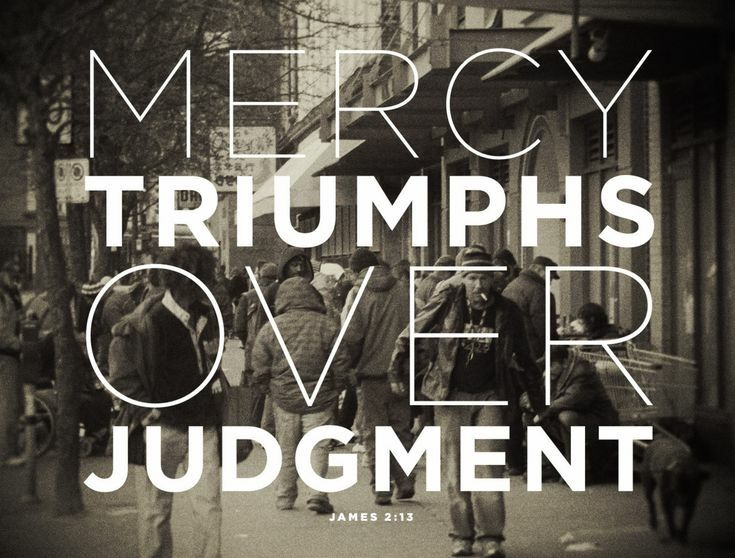 Oftentimes We Can Assume The Worst In People, But Mercy Calls Us To Assume And Think The Best. Has your roommate been annoying you lately? Instead of assuming they’re the worst person in the world, assume they’re having an exceptionally bad day and offer them a warm beverage instead of a cold shoulder. Did your friend blow off your hangout date? Don’t assume they ditched you for their significant other, rather assume they remembered a paper was due at midnight they never started and forgot to text you to reschedule. 2. Sometimes Our Judgments Of Others Seem Justified, But Mercy Calls Us To Turn Our Judgmental Thoughts Into Complimentary Ones. Are you thinking about how that girl over there surrounded by boys is a huge flirt? Or how that guy in your class who always has an opinion is a pompous know-it-all? Counter those negative and judgmental thoughts with ones of mercy by immediately thinking up 3 things to compliment them on (even if the compliments are only in your head). 3. Nothing Is More Merciful Than Forgiving Someone Who Has Wronged You, Even If It’s Something Seemingly Insignificant. Did your roommate/friend/sibling “borrow” your clothes without asking? Instead of getting angry and upset with them, forgive, forget, and calmly ask them to check with you next time before they borrow your clothes. Remember that friend from before who blew off your hangout date? Forgive them for not being there, even if it was the twelfth time in a row that they blew you off. In yesterday’s devotional (click here to see that devotional), we talked about seven facets of mercy. Today, I want you to consider some personal application questions for each of the aspects. I want to challenge you to commit an act of premeditated mercy in each of these categories this week. Wait. Isn’t there a tension between mercy and personal responsibility? Yes, there is. But I have personally decided that if I’m going to err, I’m going to err on the side of being too gracious, too merciful, and too forgiving. You can go overboard on mercy — just look at what Jesus did on the cross. Be patient with people’s quirks. Who is that person in your life who has irritating quirks? How can you practice patience with that person this week? Help anyone around you who is hurting. Who around you is obviously hurting that you can help this week? If you can’t think of anybody, then you’re not paying attention. Look closer! Give people a second chance. Who do you need to give a second chance to? How can you show that person mercy and compassion this week? Do good to those who hurt you. Maybe you’re suffering from an old wound that you have not been able to let go of. You need to forgive and then turn it around for good. Who is that person in your life? Will you make a phone call or a visit this week? Build bridges of love to the unpopular. Who is the first person who comes to mind when you think of an outcast? Who spends their lunch breaks eating alone or doesn’t seem to have any friends at soccer games? What specific thing will you do this week to bridge the gap between you and that person with love? Value relationships over rules. Who is an unbeliever you could invite over for dinner in the next few weeks? Will you then step up and invite that person to church? This is your ministry of mercy.